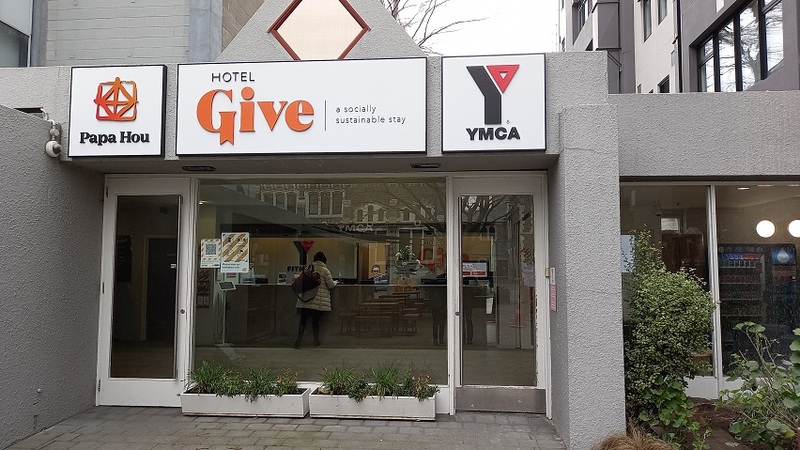 The YMCA is centrally located with many cafes and shops within easy walking distance as well as many new buildings and developments that have arisen as a result of the 2011 earthquake. There is on-site accommodation and we get a 10% DISCOUNT. Book through the YMCA web site and use the code CHCHCH19 to get the discount. Papa Hou (Treasure Box) is a performing arts area located within the YMCA. 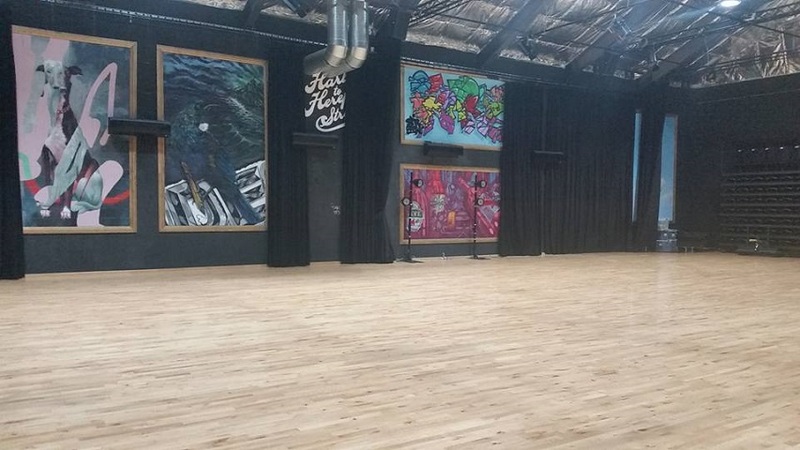 It comes with a large sprung floor, tiered seating, side rooms as well as a licenced bar. You may bring your own food into the venue but it is not BYO, alcohol can be purchased the venue bar. Papa Hou at YMCA, 12 Hereford Street, Christchurch 8140. Either head south down Rolleston Ave or west along Hereford St which is easily accessible from the one way system of Montreal St / Durham St North. There is limited parking at the venue with the entrance off Cashel Street but there is plenty of carpark buildings nearby. 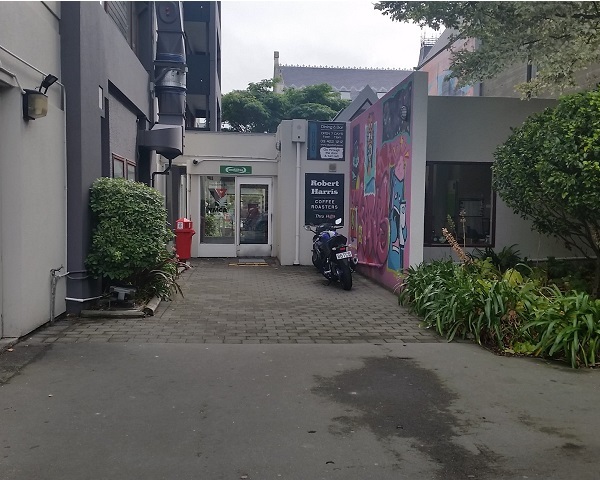 You can enter the building either from Hereford Street or Cashel Street. Back entrance of the YMCA from their car park. Front desk in the foyer of YMCA. Facing the desk like this - accommodation is on your right and Papa Hou is down the corridor to your left. Looking down the corridor to Papa Hou from the reception desk, (see, they even have a sign near the ceiling). Also notice the vending machines. 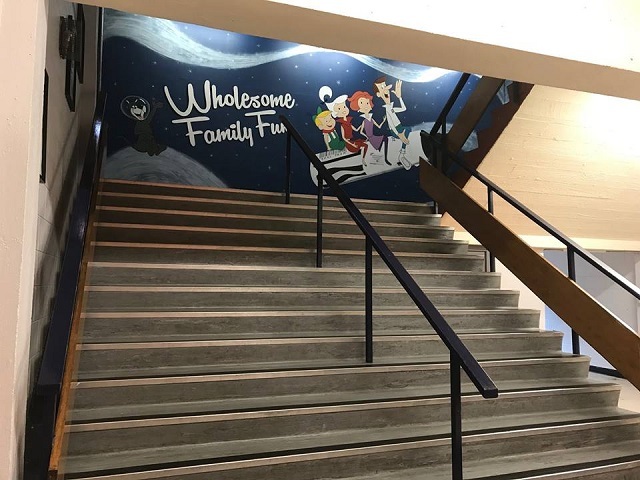 Walk down the corridor to the base of the stairs and on your right you'll see the toilets, water fountain and entrance to some change rooms which are shared with the YMCA gym. We have also hired studios upstairs to be our change rooms, but these are the only toilets. 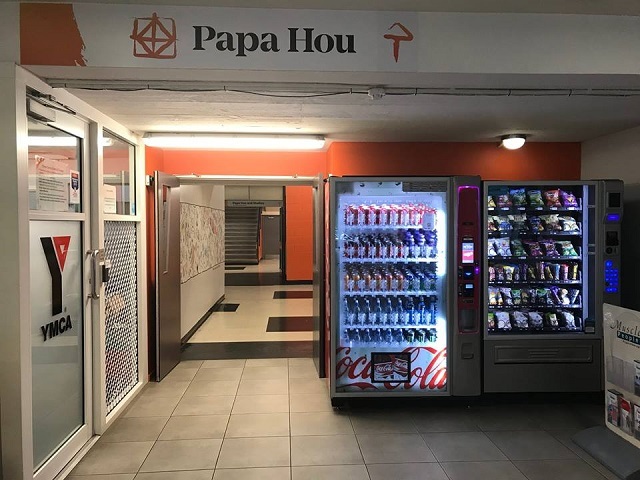 Head up the stairs to Papa Hou. Inside Papa Hou from the door way. Looking from other end. Beautiful looking dance floor, huh?! 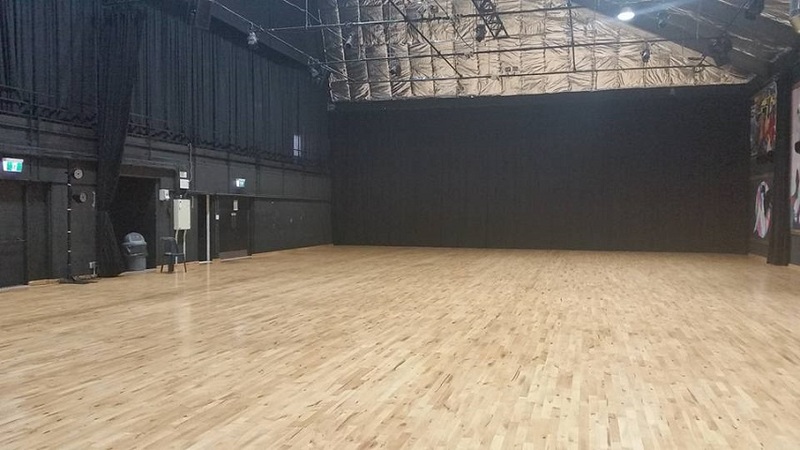 The high curtains are hiding a balcony area which we will have open and available for use. There is a licensed bar that will be in operation! This is on the same level as Papa Hou, entrance on the other side of the landing from the Papa Hou door. Robert Harris Cafe as seen from the reception desk area in the foyer. 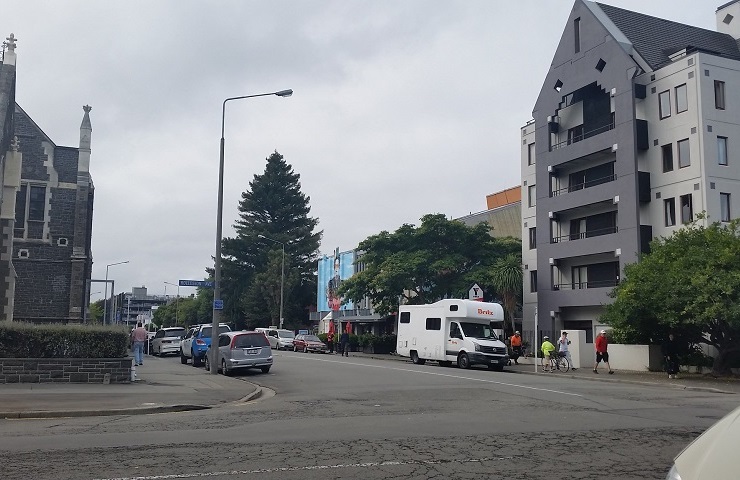 This is the Hereford Street view of the YMCA (right), the campervan is in a 5 minute drop off, the blue wall is a mural on the end of the Papa Hou, and on the same side of the street, beyond the big tree is Wilson's West End Car Park. 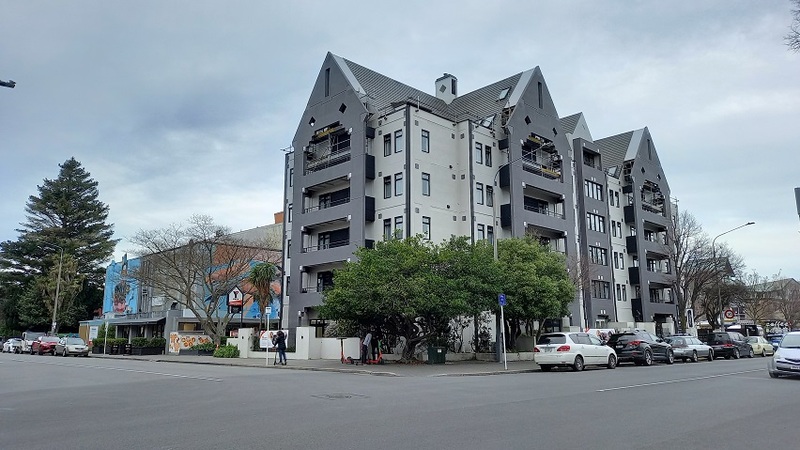 The old building on the left is the Christchurch Arts Centre. The address for the West End Car Park is Hereford Street, but that is the exit, you enter from Cashel St. It's $6 per day on Saturday and Sunday and $6 for Friday night. (The hours of operation means that is when you can drive in but you can drive out any time.) You can only come in and out once for that $6 though, if you leave and come back you will be charged again. On street parking in the area is limited and expensive. 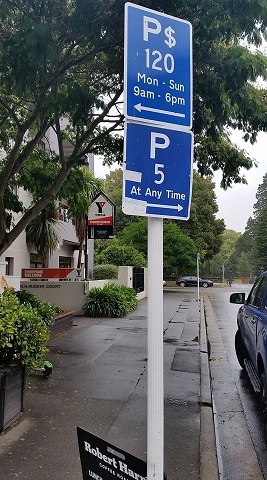 There is a 5 minute drop off zone in front of the main entrance, which looks in frequent use. 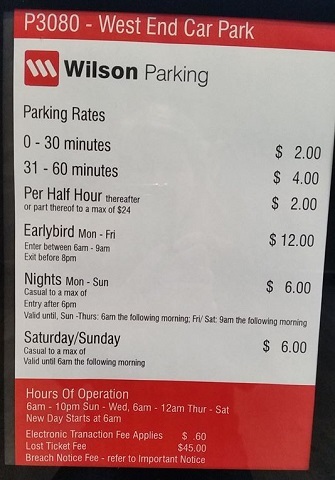 Every day the metered parking (which uses your number plate, not paper tickets) is $3.10 per hour with a limit of 2 hours between 9am and 6pm. 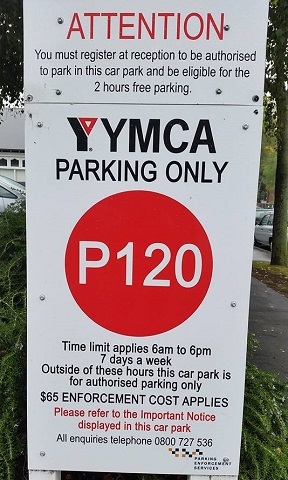 There is some parking behind the YMCA off Cashel St, but it has a 2 hour limit as well. 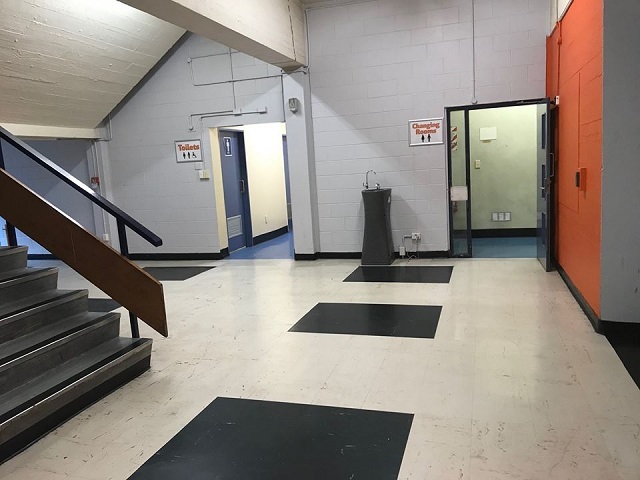 Visitors coming for a short time or only in the evening could use a space here (no charge) but must write their registration plate number on the register on the YMCA reception desk. 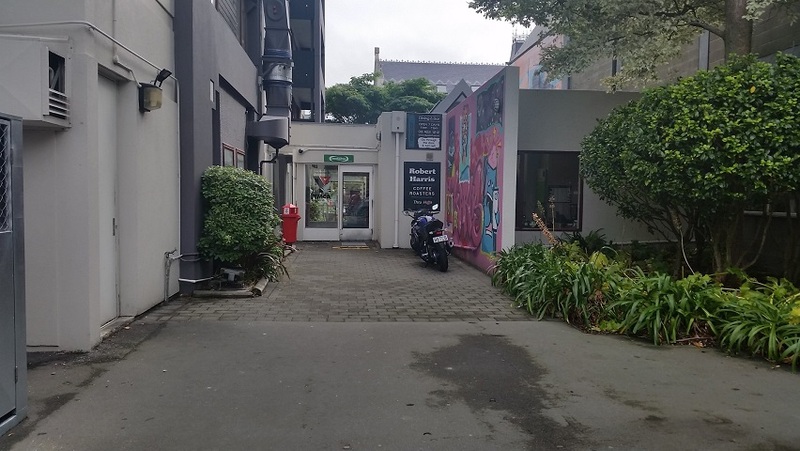 There are also some spaces reserved for a Medical Centre adjacent on Cashel St, so don't park there. View of the entrance to the YMCA from the car park at the back of the building.